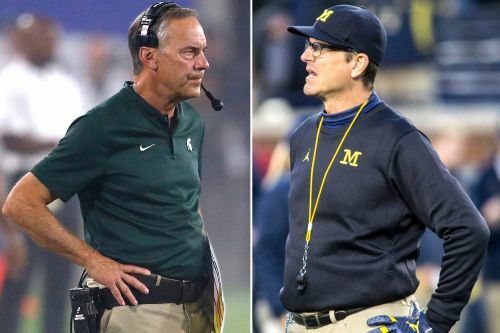 Jim Harbaugh and called Mark Dantonio shared some mutual disdain over the Wolverines' and Spartans' pregame scuffle. Jim Harbaugh was not happy about what went down on the field before Michigan's road game at Michigan State. 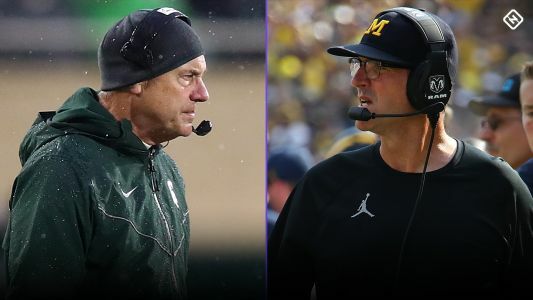 Jim Harbaugh and Mark Dantonio took shots at each other in their postgame press conferences after Michigan and Michigan State got into an altercation before Saturday's game.